Benjamin Pavard has been called up again by France with the boss of Les Bleus, Didier Deschamps, wanting a second look at the promising Stuttgart defender ahead of selecting his FIFA World Cup squad. 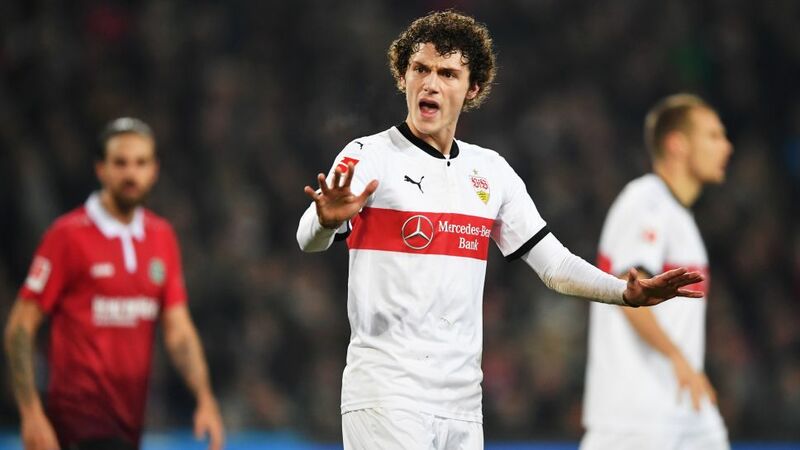 Pavard, who has been an ever-present for his club in the Bundesliga this season, celebrated a first senior cap when he appeared in France's friendlies with Wales and Germany in November. His continued impressive displays Stuttgart, whom he joined from Lille in 2016, have convinced Deschamps to have another look at the 21-year-old in his country's upcoming friendlies with James Rodriguez's Colombia in Paris on 23 March and World Cup hosts Russia in St. Petersburg four days later. "Why not?" replied Deschamps with a smile when asked why he had selected the former Lille youngster, who is equally happy playing full-back or centre-back. "It's not just because he is versatile that I have picked him. He was already versatile before I picked him in November. He played well then. "Sometimes he plays in a back three, sometimes at full-back, for his club he plays more at centre-back, but he doesn't have a problem playing right-back. I wanted to see him again before I have to make the final decision on the list in May." Click here for more Stuttgart news, views and features!